I had an interesting flavoured pizza tonight. 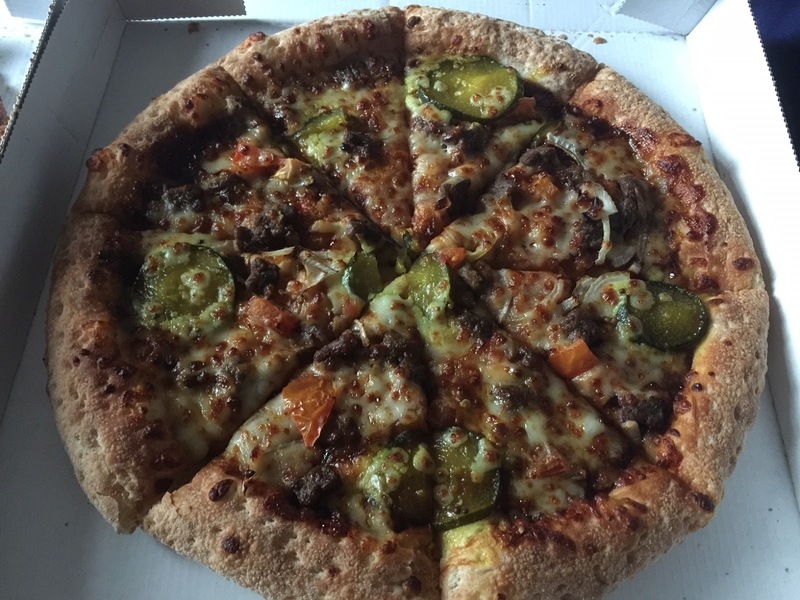 It's a 'BBQ Cheeseburger' pizza from Papa John's. I don't usually like Papa John's pizzas, but saw this one advertised and thought I'd give it a go. It was okay, but not something I would go out of my way to eat again.